Desi Smith/Staff Photo. 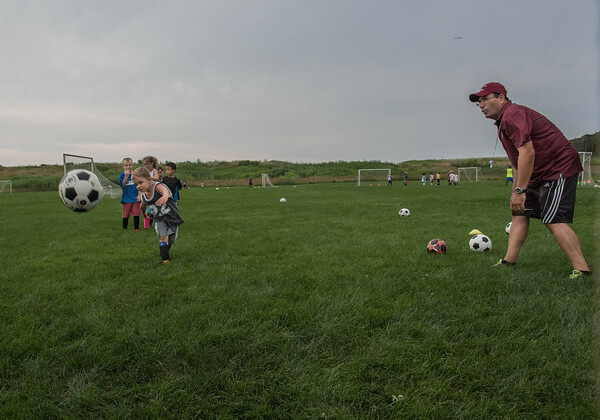 Coach Armando Marnoto (right) watches as Shane Widtfeldt 5, drills the ball to the back of the net during a Cape Ann Soccer Mini Camp for children 5 years and up Thursday afternoon at Magnolia Woods. July 30,2015.